"Following the brilliant example of Grace, who donated 20 inches of her hair, I am planning to cut 9 inches of my hair to donate to the Little Princess Trust. It is a really inspiring charity that gives wigs to both boys and girls suffering from hair loss as a result of cancer treatment. They are given the wigs free of charge which is why donations are so important. It costs an average of £350 for the charity to make a wig so it would be great if I could raise this much. Obviously if I could raise more that would be incredible as more money equals more wigs! 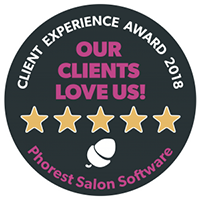 Also I would like to say a really big thank you to Trisha and her team at Cienté for their support and for generously offering to do my hair cut."